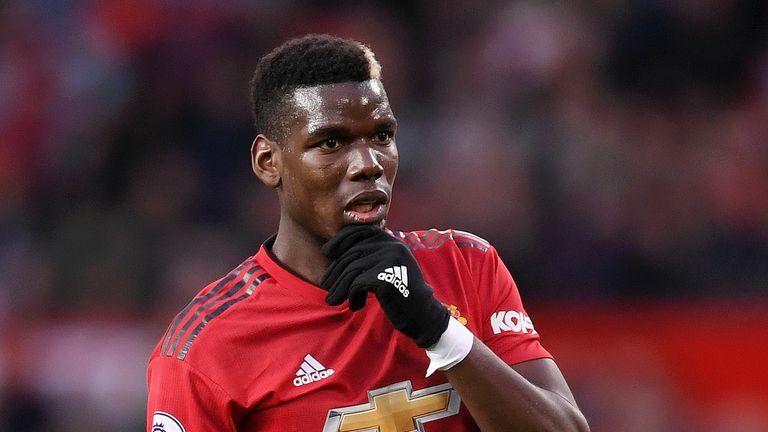 After months of discussion and speculation surrounding his Manchester United future and relationship with Jose Mourinho, Paul Pogba is thinking only about the football. 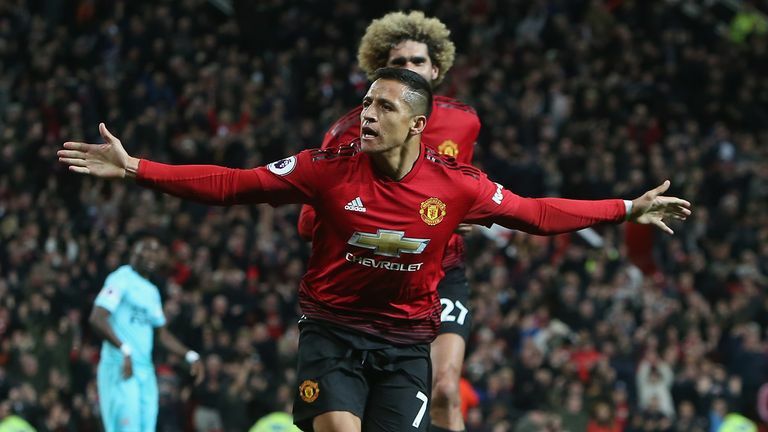 His United side go to Stamford Bridge at Saturday lunchtime, live on Sky Sports Premier League, looking to build on a fine comeback victory against Newcastle a fortnight ago. The task doesn't get much harder. Chelsea are unbeaten, joint-top of the Premier League, and have a fine record over Mourinho and United in west London. The pressure is undoubtedly on, with United in danger of falling out of the title contention before winter, but it's a burden Pogba relishes. In an exclusive interview with Sky Sports, Pogba said: "For me, those games are the best games to play. You play against the best players, you play against a big club, a big story. You play football to play those big games with a lot of pressure. That's what you want to play. "You can see this season [Chelsea] have a lot of possession obviously, they are winning, they have one character you cannot miss in Eden Hazard, they say he is on fire, this time he is probably the best player in the PL right now. "The team is going well, they have good results, for us we come back from the Newcastle game, 3-2 winning at home, we need points, so it's going to be a tough one. I think they need points, we need points. You play football to play those big games with a lot of pressure. That's what you want to play. "The game is going to be very hard, we're playing away. It's a Chelsea vs Man United game, you know, so it's a big one." United have fared better away from home in the Premier League this season, but Pogba says the Old Trafford crowd's support in coming back from 2-0 down to beat Newcastle was priceless. The France World Cup winner also gave an insight into United's thinking at half-time, and hopes that reaction filters into the Stamford Bridge showdown. "As well I want to give this point: Old Trafford was a help for us, because the stadium were on fire. I could hear all the fans pushing us. This is crazy but it was the 12th player, helped us a lot. You could hear the fans shouting, pushing, even when there's a throw-in they were behind us. It was crazy, it was like really fire," he said. "I think it was like last season against Man City, when we had nothing to lose, we were already 2-0 down and we just think: 'Guys, come on we cannot lose, we are at home and need a reaction.' Everyone had the same reaction and we all went for it, we didn't think about nothing, just to go and win." Pogba's role in the team has been much-debated since he joined from Juventus in 2016; though he is often the star when United are winning, he is just as often the scapegoat in defeat. Will Pogba be in your Fantasy Six-a-Side team this weekend for a chance to win £1,000? However, the 25-year-old opened up about how the team spirit energises him and his team-mates, but admits the Premier League is the most unpredictable league in the world and you must "give your life" in every game. "You never know what's going to happen in the Premier League, and that's what makes it the most interesting league in the world. 2-0 down, coming back to 3-2, is crazy you know. Does Jose truly trust Mata?